Over 40 people—most of them dairy farmers from southeast Minnesota—gathered at People’s Energy Cooperative in Oronoco on December 11th to learn about ways to save energy in dairy production and funding opportunities and rebates available. A Warm Welcome! The event was co-hosted by Southeast Clean Energy Resource Team (SE CERT) and People’s Energy Cooperative, but there were several other partners involved in personally inviting farmers to the lunch gathering, including: The Minnesota Project (TMP), Minnesota Milk Producers Association, Minnesota Dairy Herd Improvement Association, and University of Minnesota Extension. SE CERT Coordinator Michelle Palm kicked off the program by describing CERTs and the day’s agenda. After filling up plates with warm pulled beef brisket sandwiches, baked beans, and chocolate milk, attendees settled in to get to the learning part of the day. Insights on Energy: CERTs Director Lissa Pawlisch facilitated a discussion with attendees on energy efficiency for milk cooling, cow comfort, lighting and other general operations. First, TMP Energy Manager Fritz Ebinger shared lessons learned from the Hastings Creamery Co-op study, funded by the Minnesota Department of Commerce, Division of Energy Resources as a Conservation Applied Research and Development (CARD) grant. 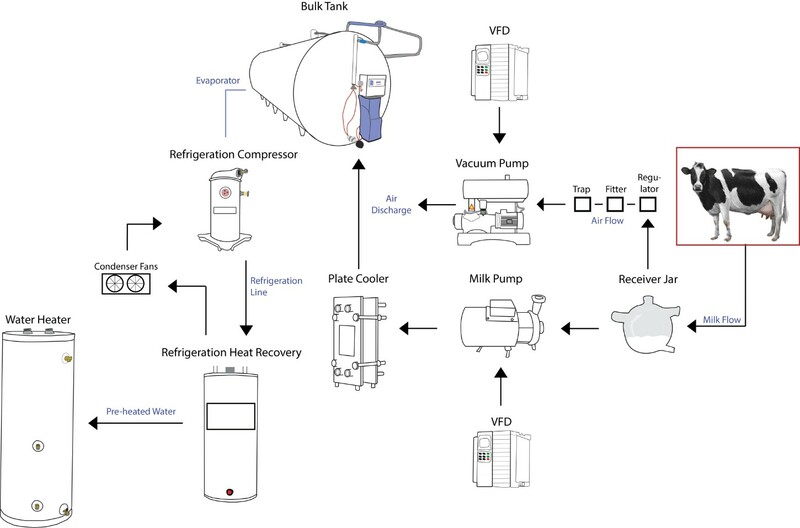 Then, participants dove into the details of variable frequency drives for milk and vacuum pumps, high volume low speed fans, refrigeration heat recovery for water heating and energy efficient lighting, among other dairy production technologies. Dairy farmers engaged in discussion by answering polls throughout the presentation and providing candid feedback that was educational for both CERTs and other dairy farmer attendees. CERTs would like to extend a special thanks to Dale Hinkley and Gary Hoffman for providing lots of great examples of energy efficiency on their farms during the meeting. When the above programs are stacked, a dairy farmer can see a good portion of a project’s costs covered. 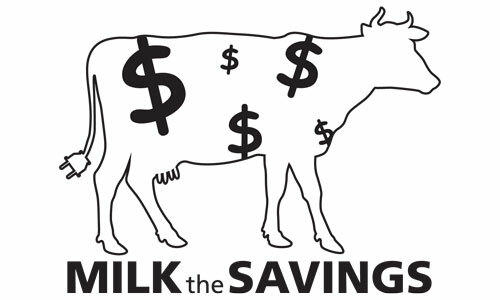 CERTs is here to help dairy farmers navigate all of these funding options. Lucky Winners: Terry Mathews of Mathews Farm and Dan, Randy, and Richard Siem of Siem Farms went home with $50 gift cards. All farmers who completed a detailed survey were entered into the drawing. CERTs and TMP are grateful for the time farmers spent completing the survey and providing information about their operations. What’s next? Over half of the attendees said they plan to complete an energy efficiency project after the event. People’s Energy Cooperative, CERTs, and other event partners will follow up with farmers who attended this event to provide tailored guidance on technical questions and funding options. This event was carried out under the CERTified Milk the Savings campaign, which is funded in part by the McKnight Foundation.